From 1940 to 1970 mid‐Michigan had an extensive and varied legacy of modernist architecture. While this book explores buildings by renowned architects such as Frank Lloyd Wright, Alden B. Dow, and the Keck brothers, the text—based on archival research and oral histories—focuses more heavily on regional architects whose work was strongly influenced by international modern styles. The reader will see a picture emerge in the portrayal of buildings of various typologies, from residences to sacred spaces. The automobile industry, state government, and Michigan State University served as the economic drivers when the mid-Michigan area expanded enormously in the growing optimism and increasing economic prosperity after World War II. Government, professional associations, and private industry sought an architectural style that spoke to forward‐looking, progressive ideals. Smaller businesses picked a Prairie style that made people feel comfortable. Modernist houses reflected the increasingly informal American lifestyle rooted in the automobile culture. 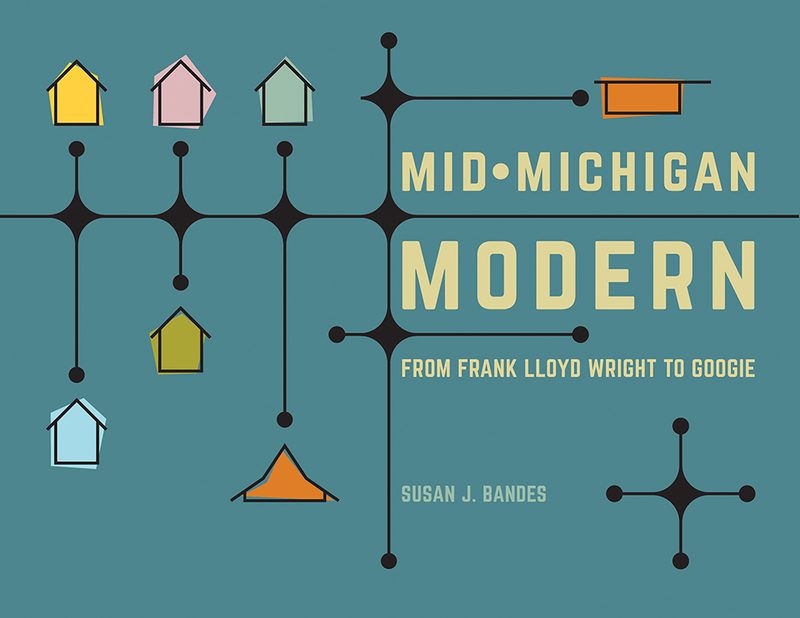 With a detailed narrative discussing more than 130 buildings and enriched by 150 illustrations, this text is a vibrant start at reclaiming the history of mid-Michigan modernist architecture. Susan J. Bandes is professor of art history at Michigan State University and director of museum studies. She served as director of the Kresge Art Museum from 1986 to 2010. PODCAST: Susan J. Bandes talk at MSU Honors College's Sharper Focus/Wider Lens series "Picking Up STEAM" [8:15].